Maybe velvet slippers don't speak to you for the upcoming onslaught of holiday parties. 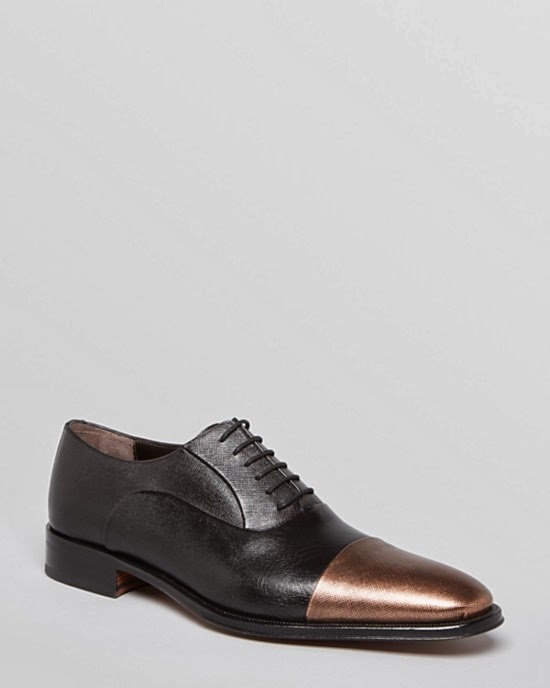 Well thankfully Bruno Magli has taken strides to keep a gent well dressed with a festive edge. Always sublimely crafted, Bruno Magli shoes are perfect Italian footwear with taste. 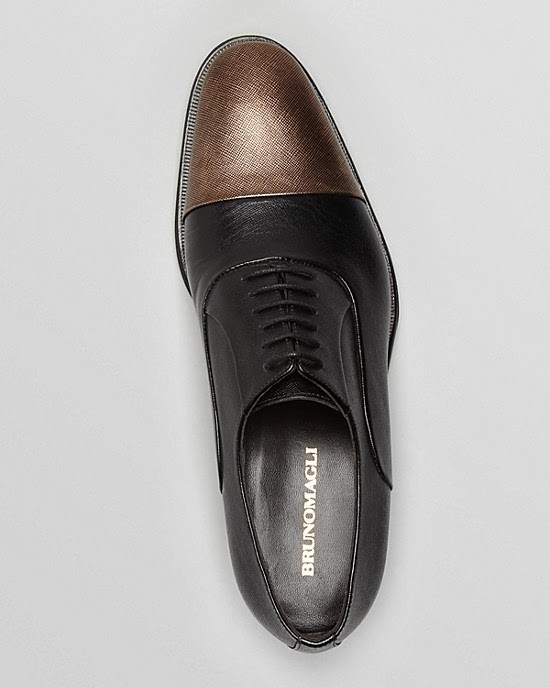 This Momalo Leather Color Block Oxford is a great example of a color-blocked shoe with the pairing of a neutral textured black an a popping bronzed cap toe sure to leave a gent stepping into his holiday soiree with style and confidence. Available now at Bloomingdales.com.